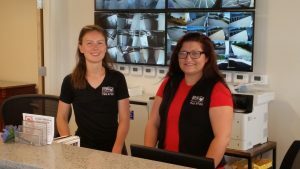 When you arrive at our facility and walk into our warm and welcoming office, you will be greeted by Caroline and Lyndsay. Caroline and Lyndsay are our trained and professional managers who staff our office seven days a week. Caroline has worked at Somersworth Storage for many years part-time, and joined our team full-time three years ago. Lyndsay has worked with us for a year and she is a welcome addition to this small, locally owned business. 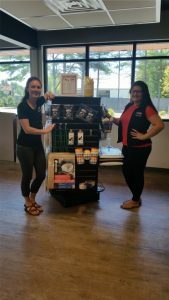 Caroline and Lyndsay are well versed with anything storage related, including: helping to determine right sized unit, packing and moving supplies needed, recommendations for moving companies and rental of U-Haul right at our facility. We make the rental process as easy as possible! Typically a lease signing takes about 15 minutes, and we offer AutoPay which simplifies the bill process. We have been in operation for 21 years, and what makes us special is our care for our “storage family”. Customer service is at the center of what we do; we look forward to meeting you! We are open M-F 8:30-5, Sat 9-1 and Sun 10-2. Order Moving Supplies Online ~ Pick Up In Store! No Shipping!